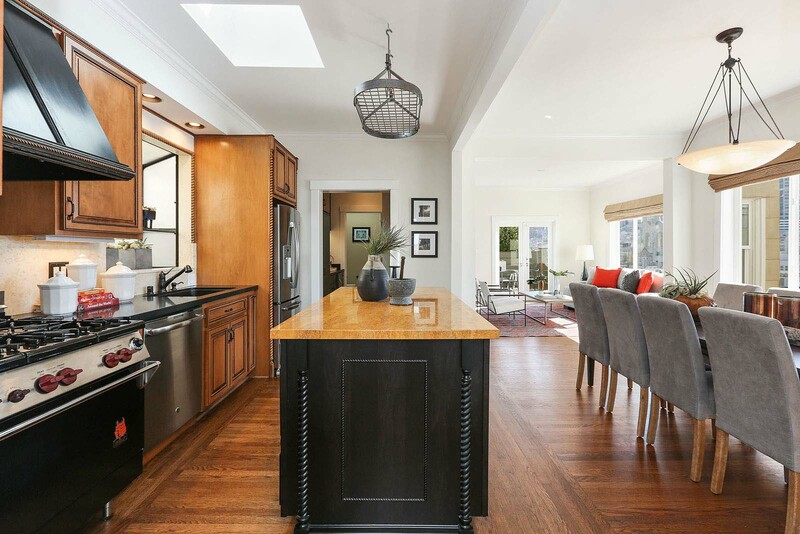 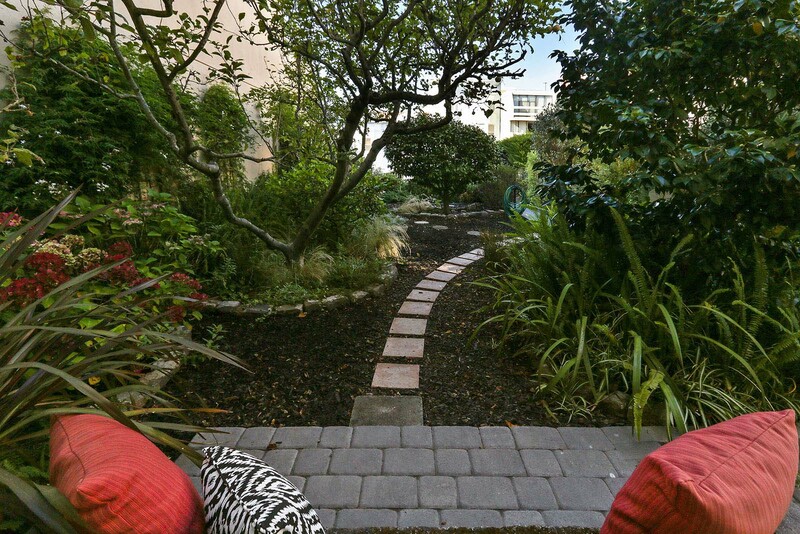 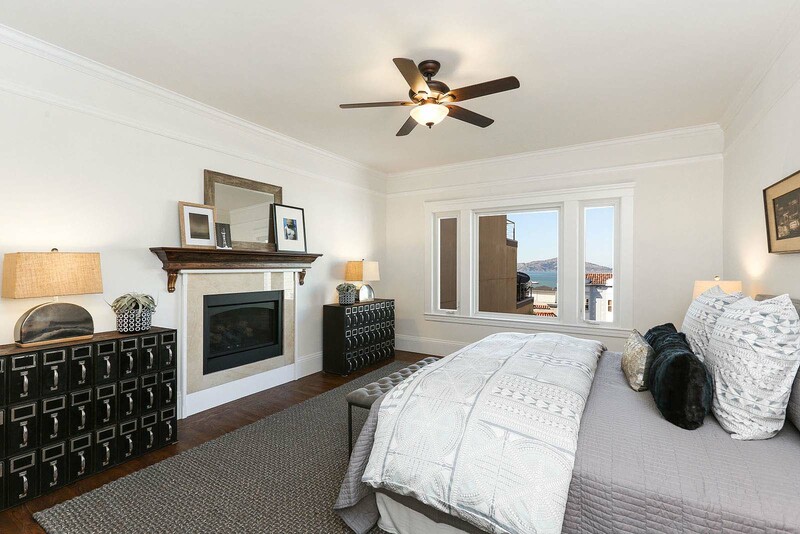 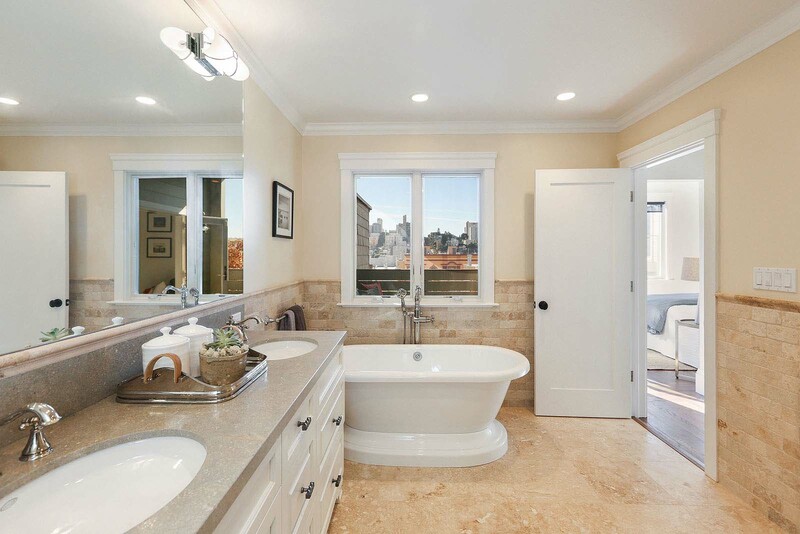 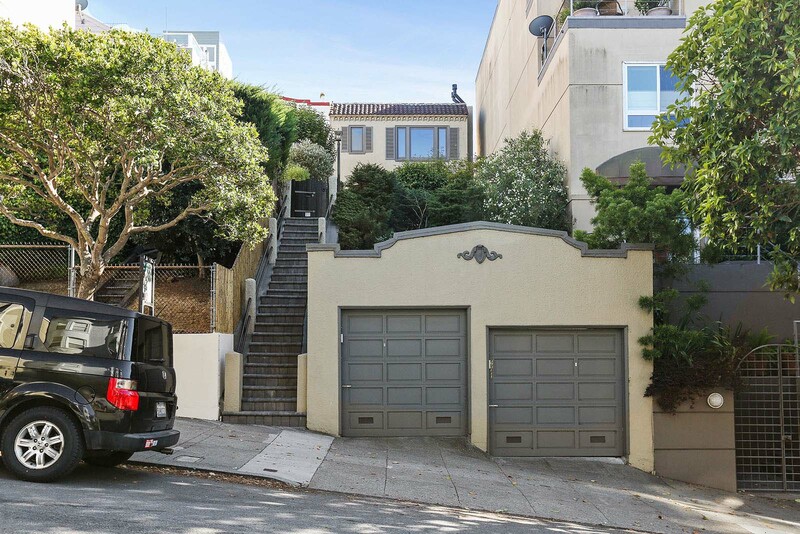 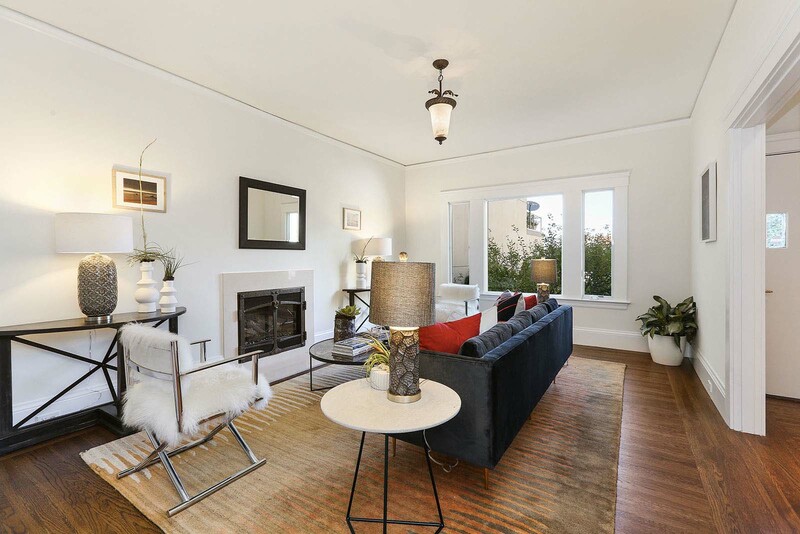 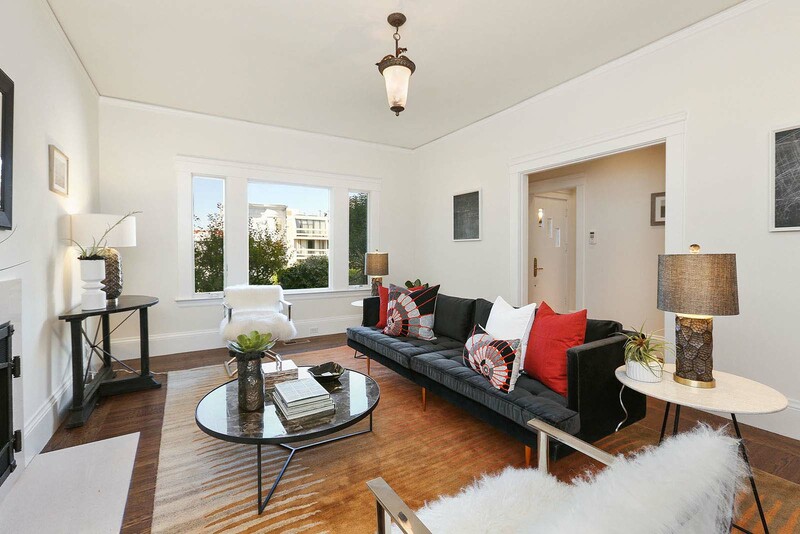 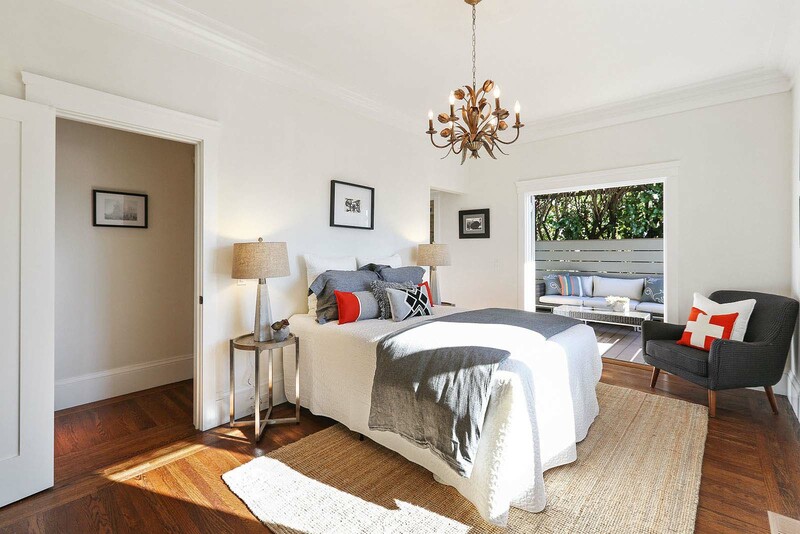 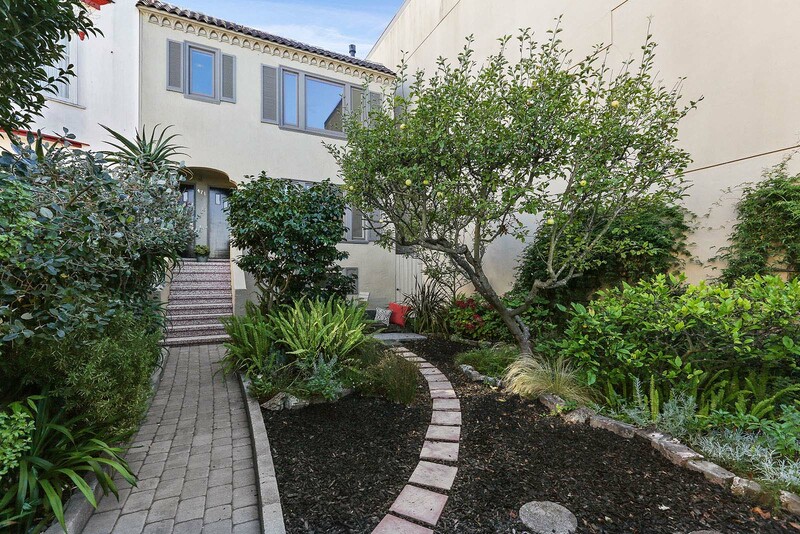 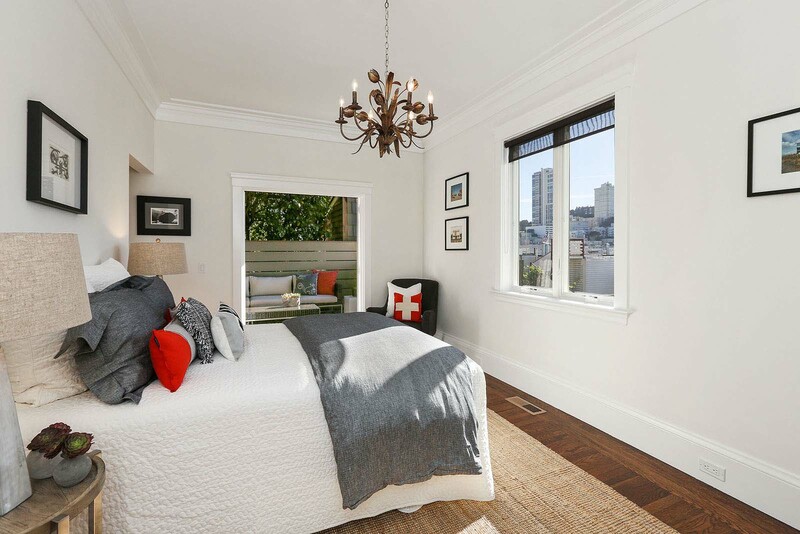 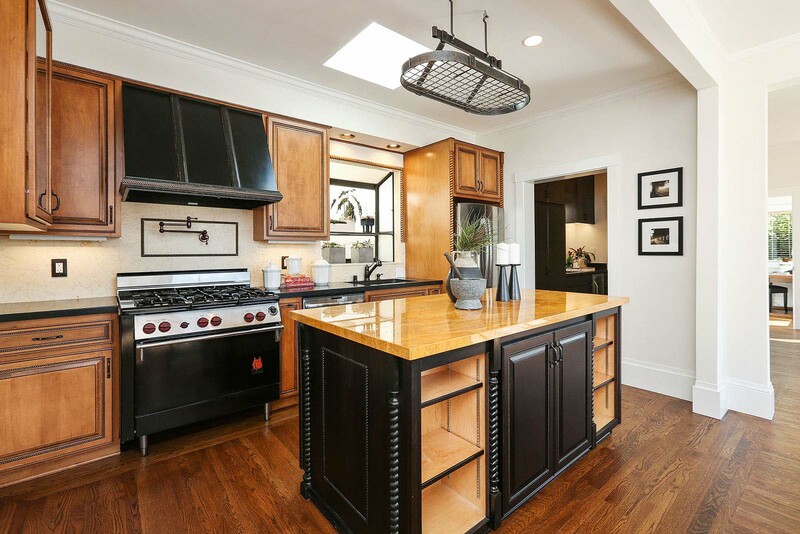 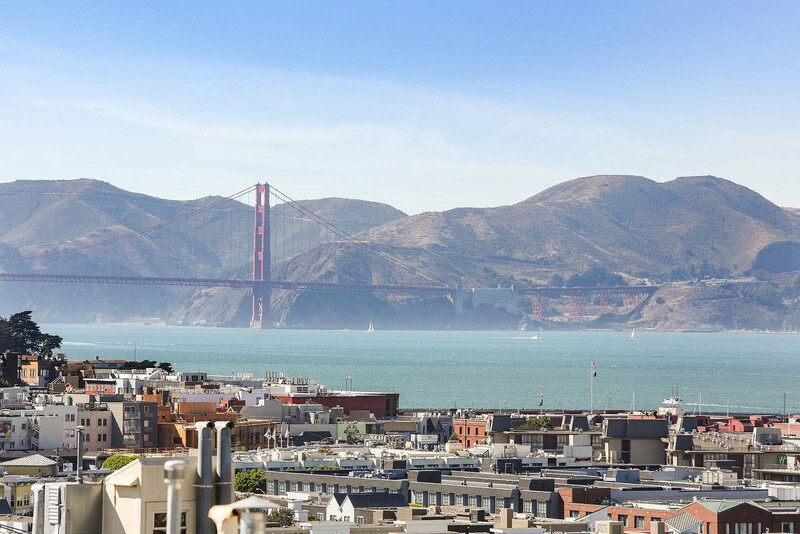 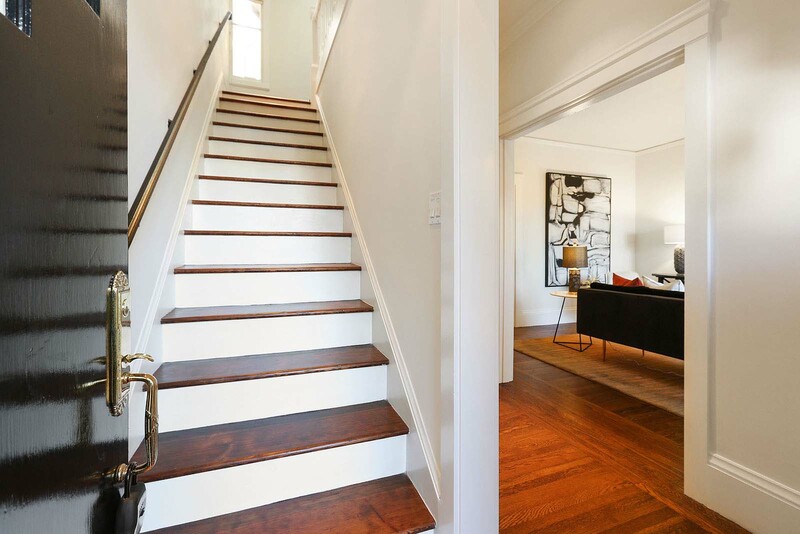 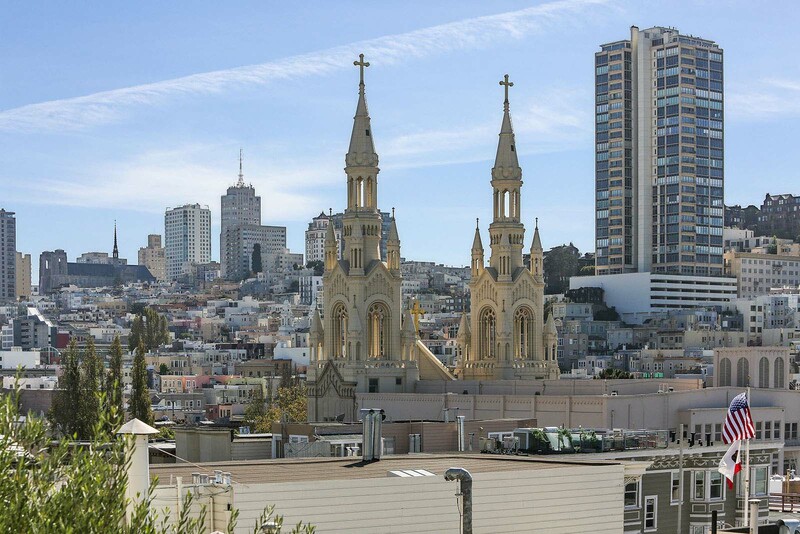 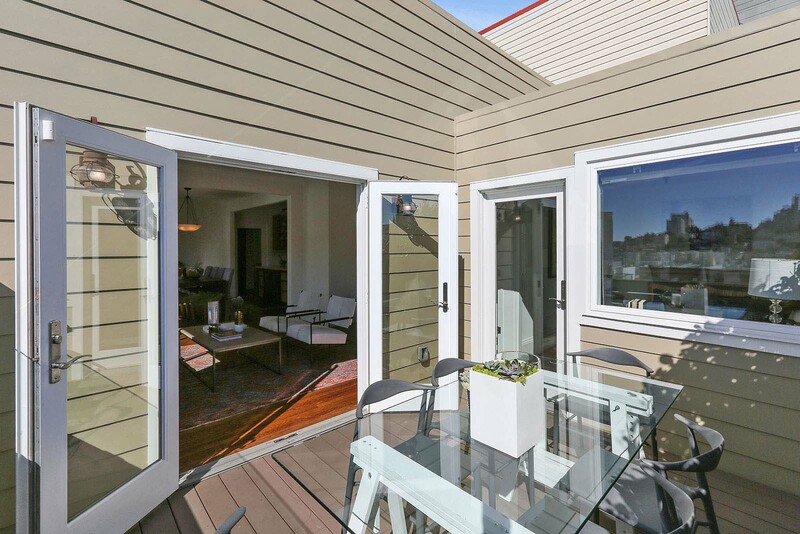 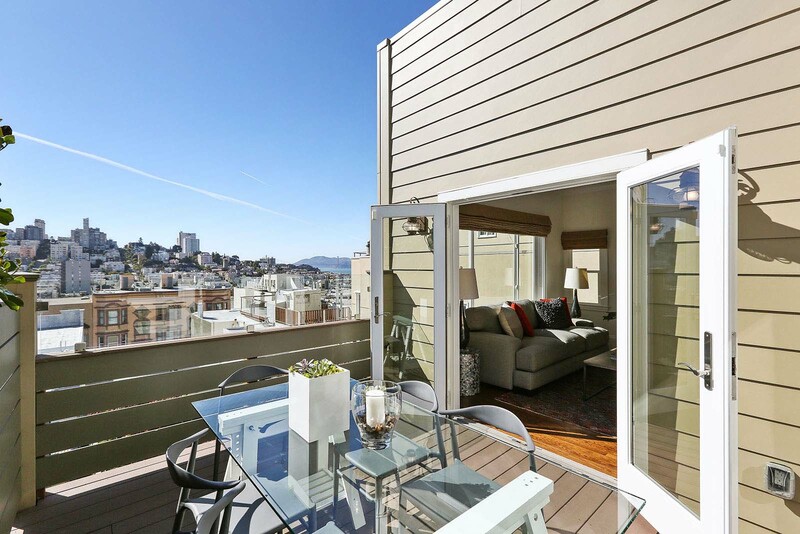 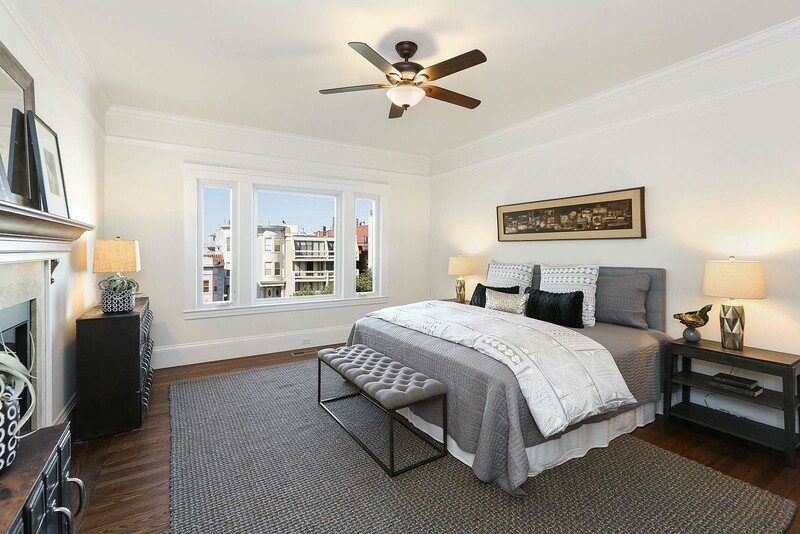 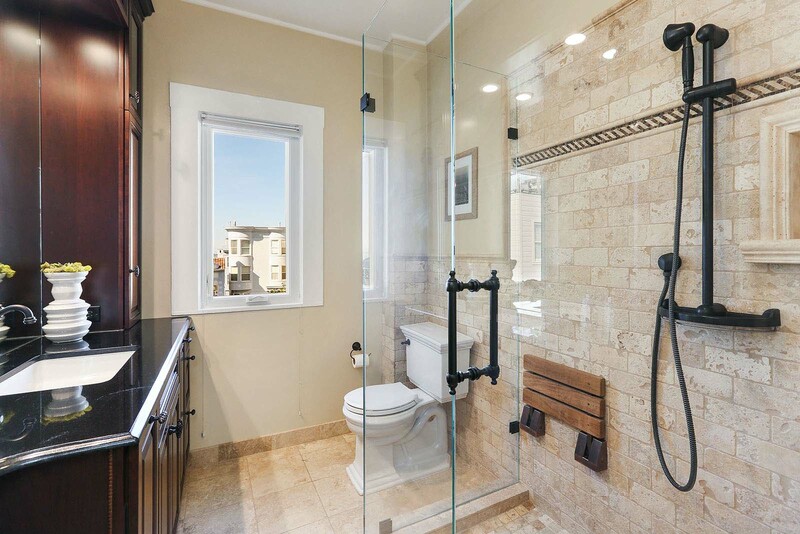 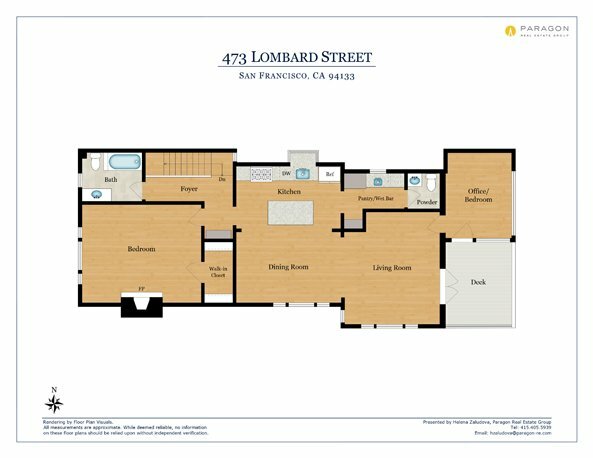 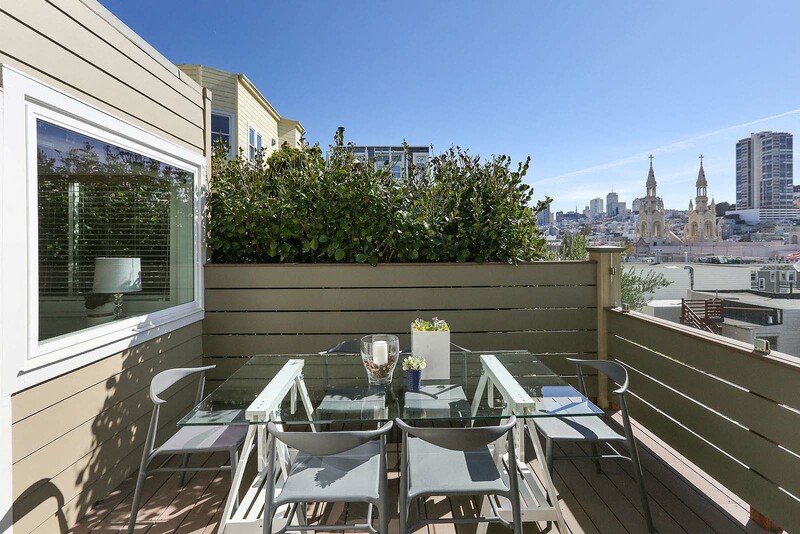 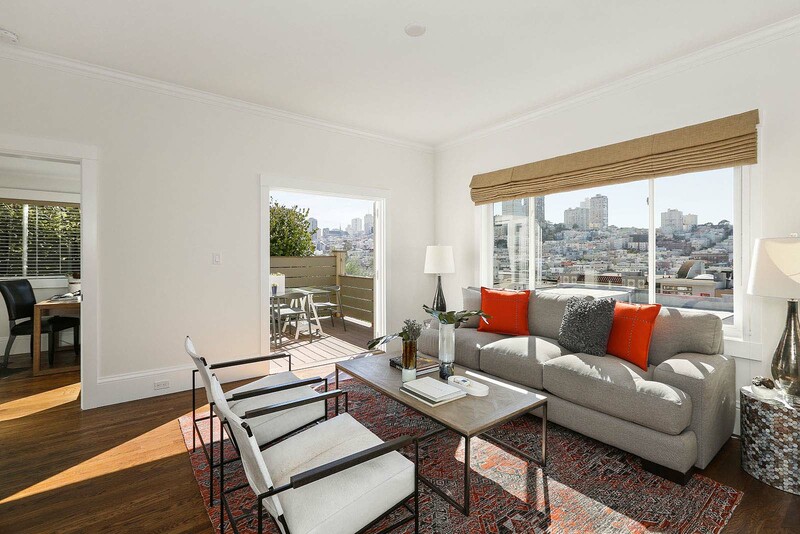 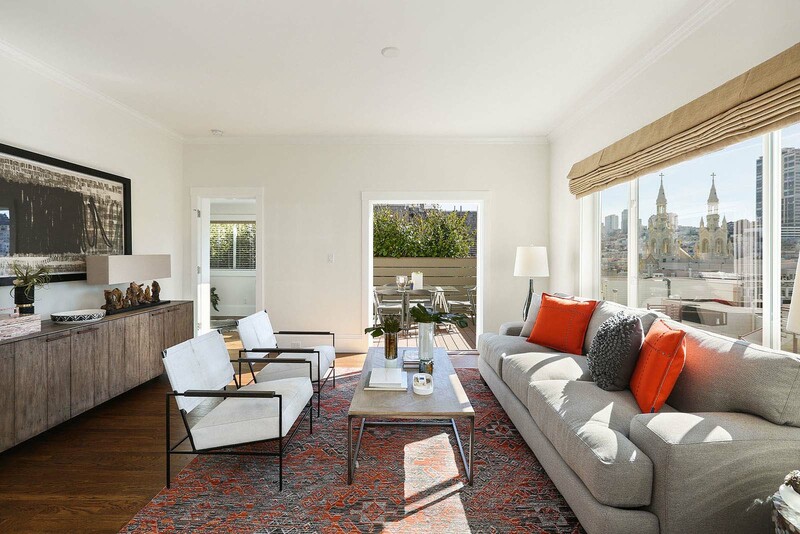 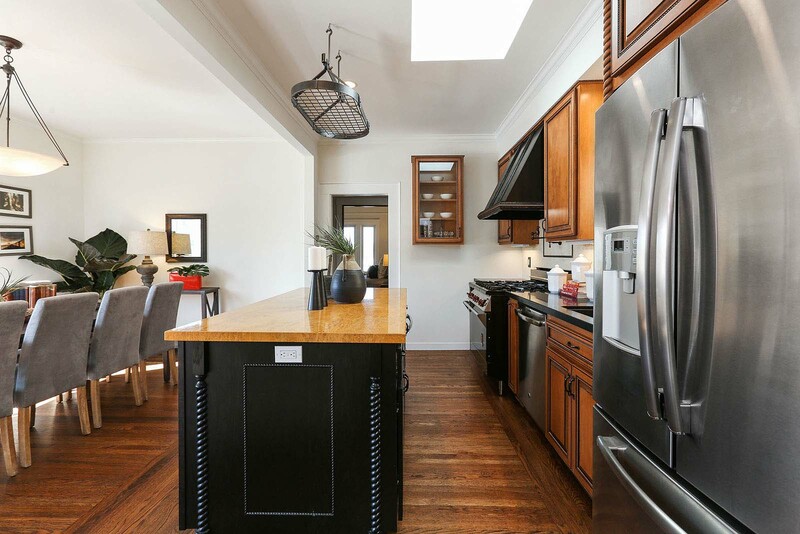 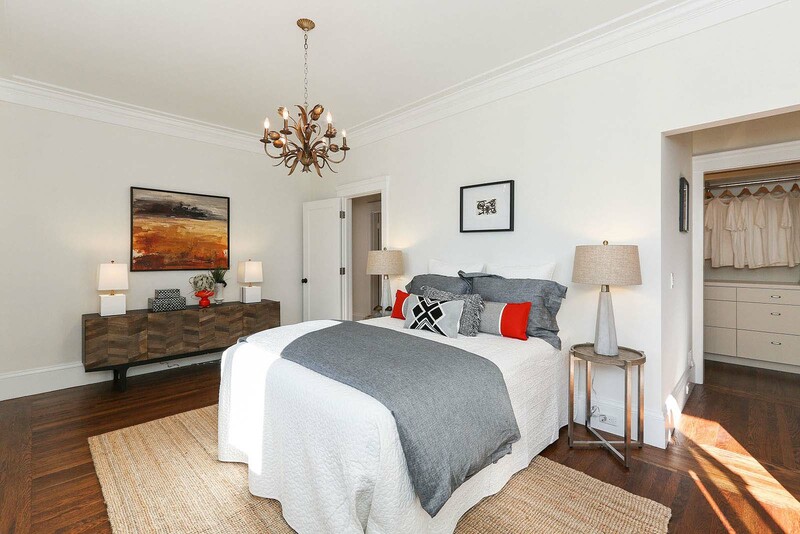 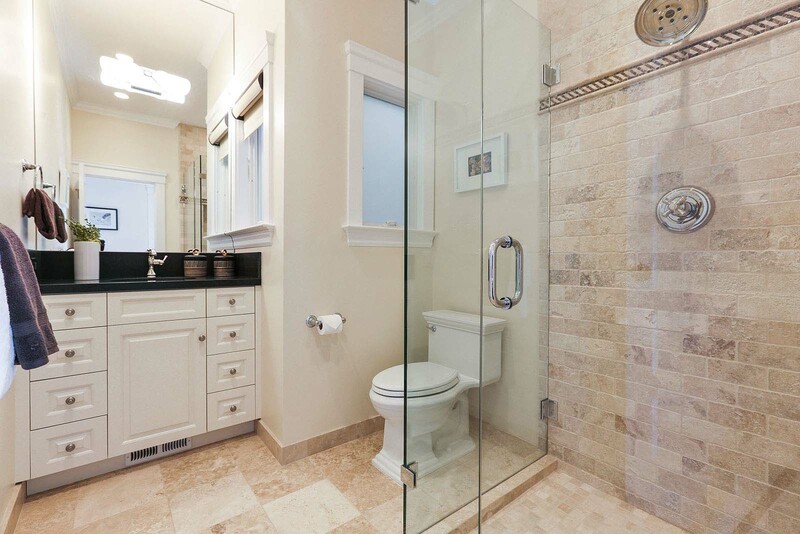 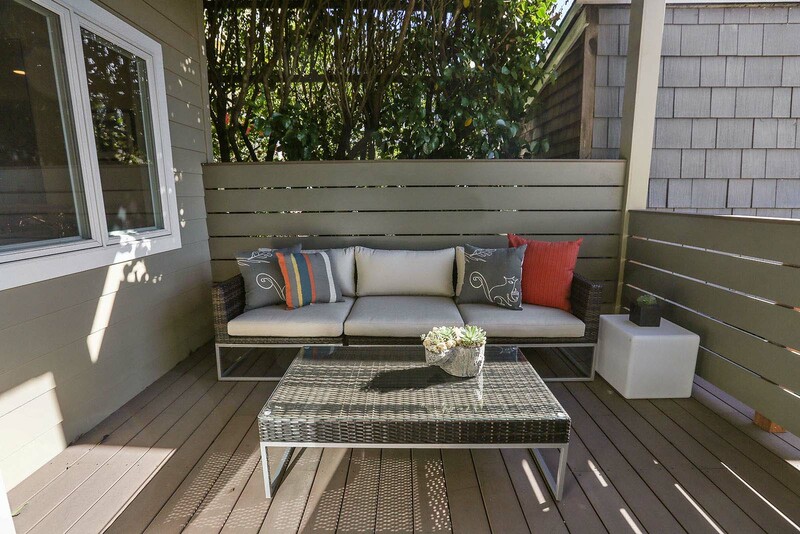 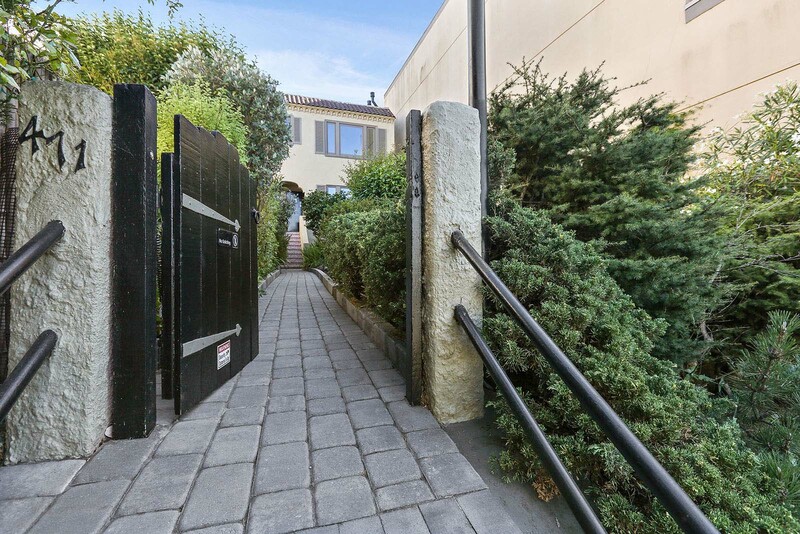 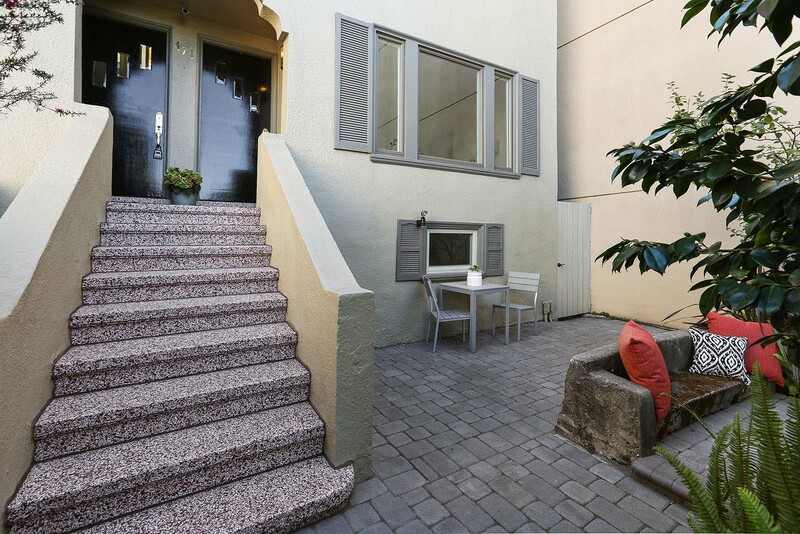 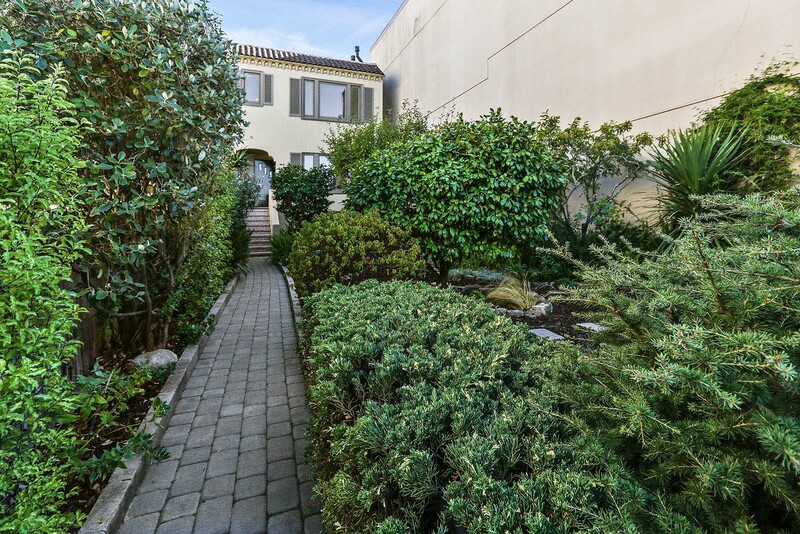 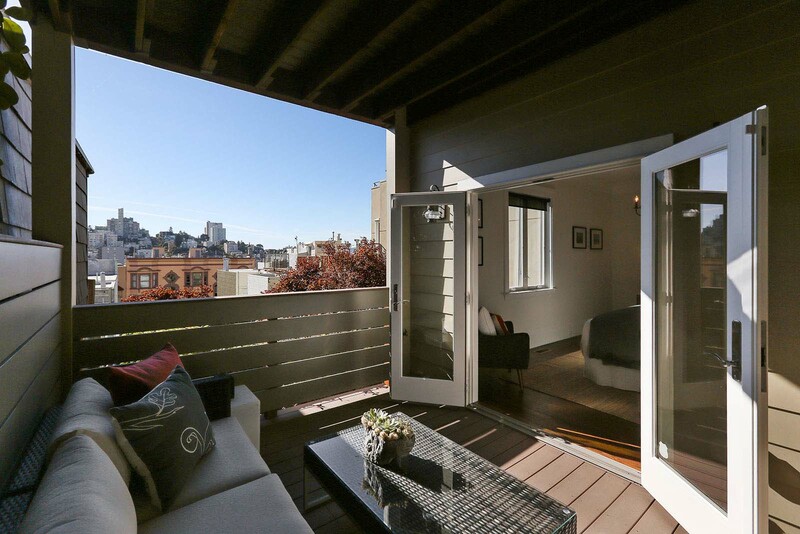 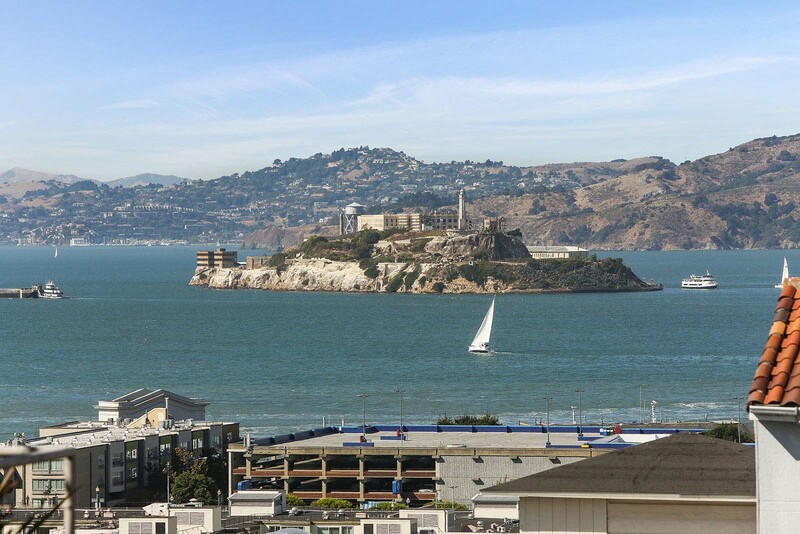 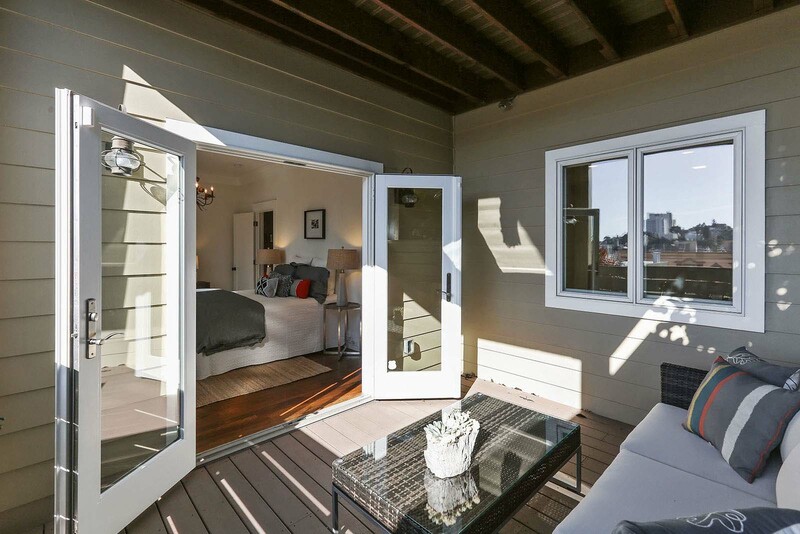 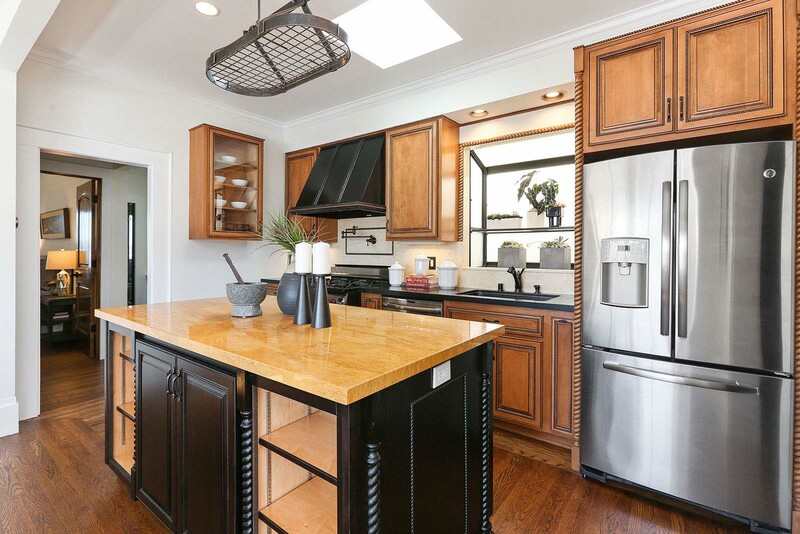 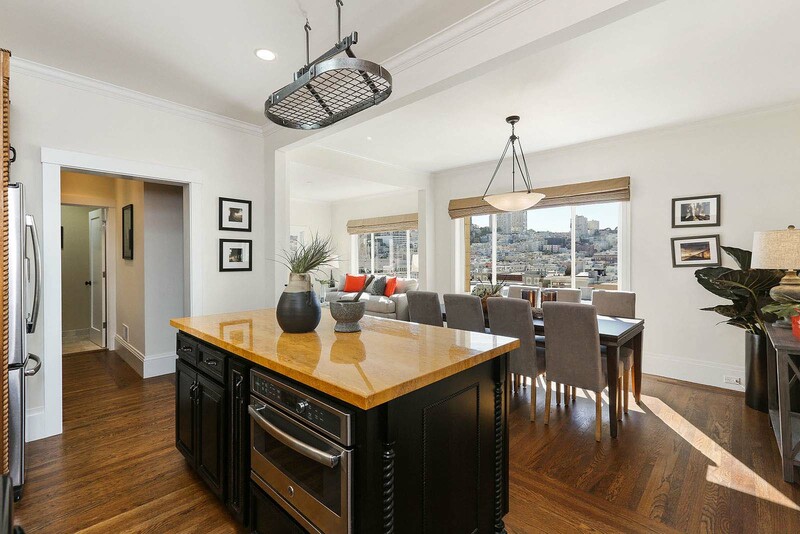 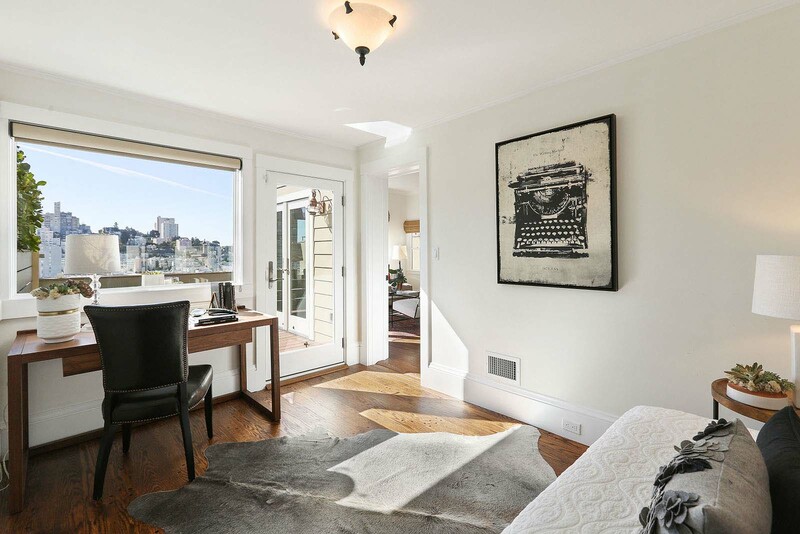 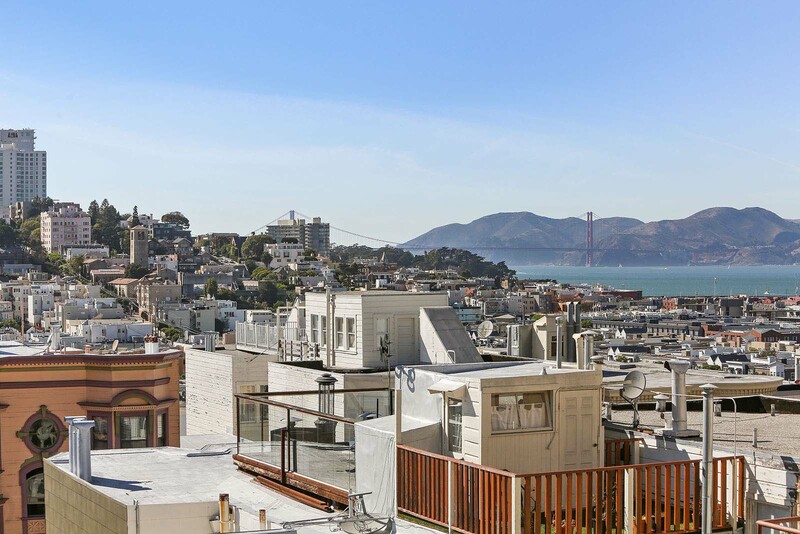 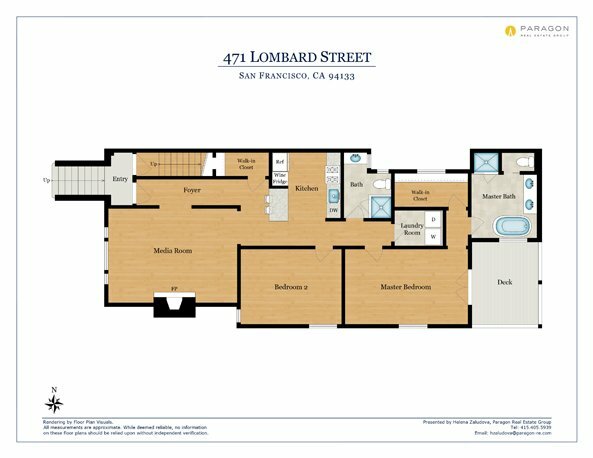 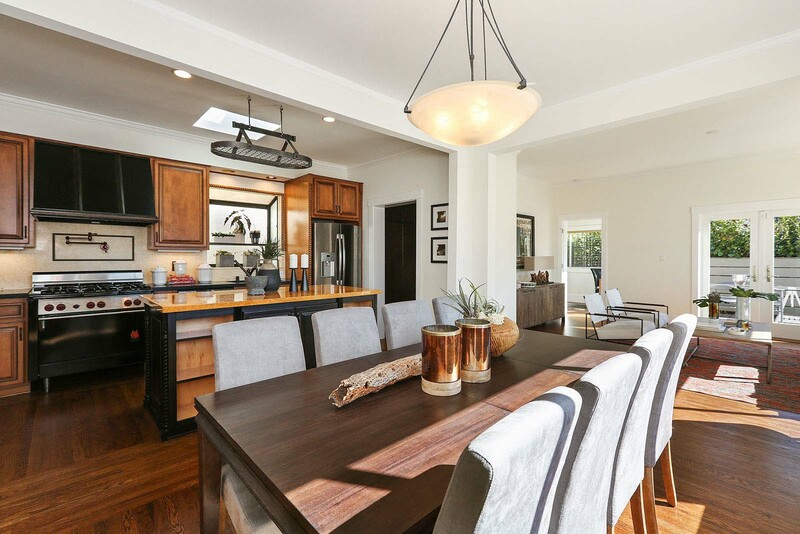 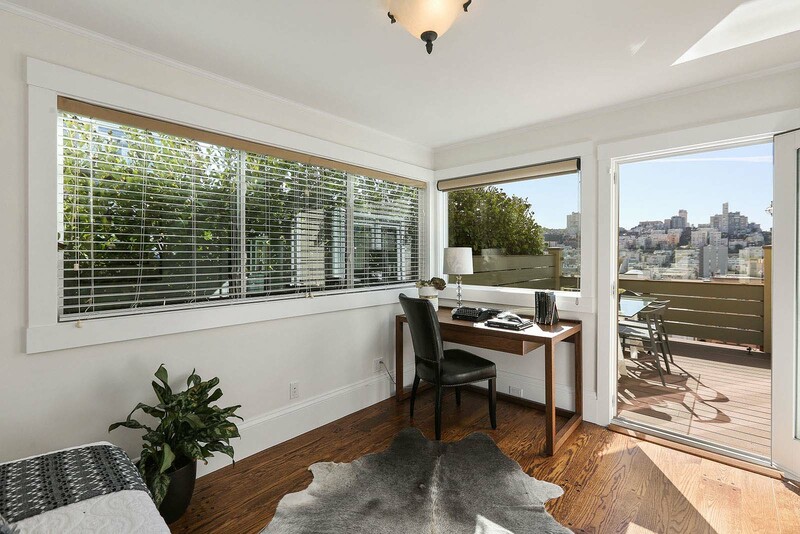 This versatile, elegant residence offers great views spanning the Golden Gate Bridge to the spires of Saints. 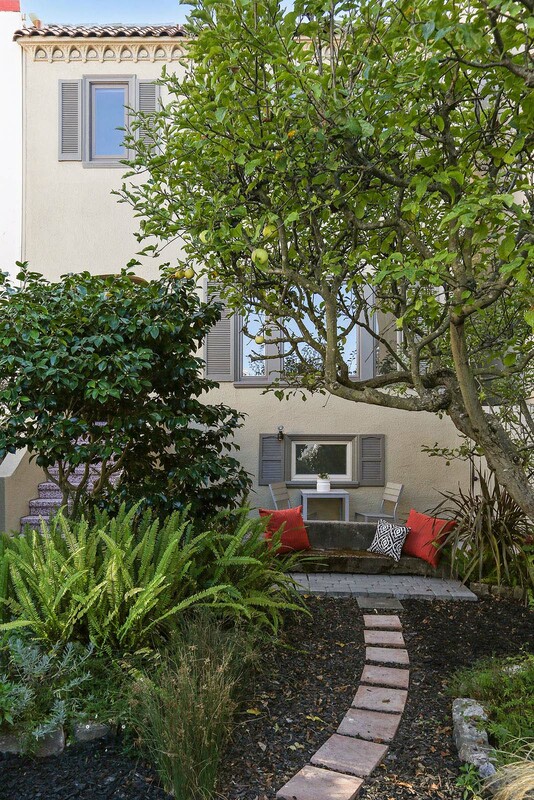 Peter & Paul church, serene garden setting and thoughtfully remodeled interior easily used as a home or a two-unit building. 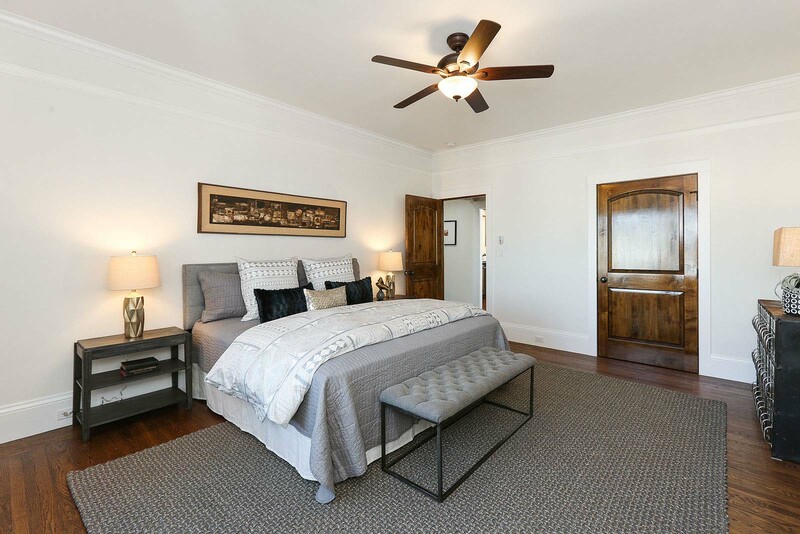 The lower level of the home is set up as a fantastic informal family retreat with a media room, convenience kitchen with high end appliances, luxurious master suite, additional bedroom and bath, laundry room and a private patio. 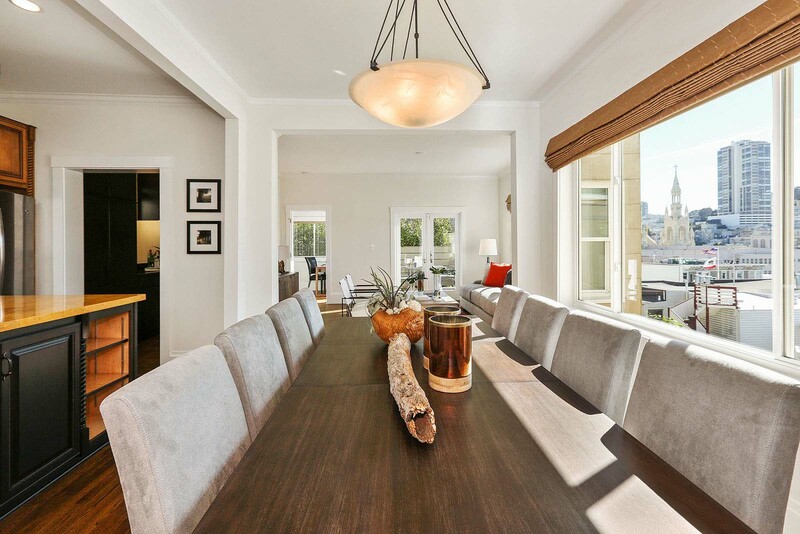 The upper level hosts the formal dining room, a ‘great room’ with fabulous views and an adjacent deck, plus a high-end kitchen with butler’s pantry. 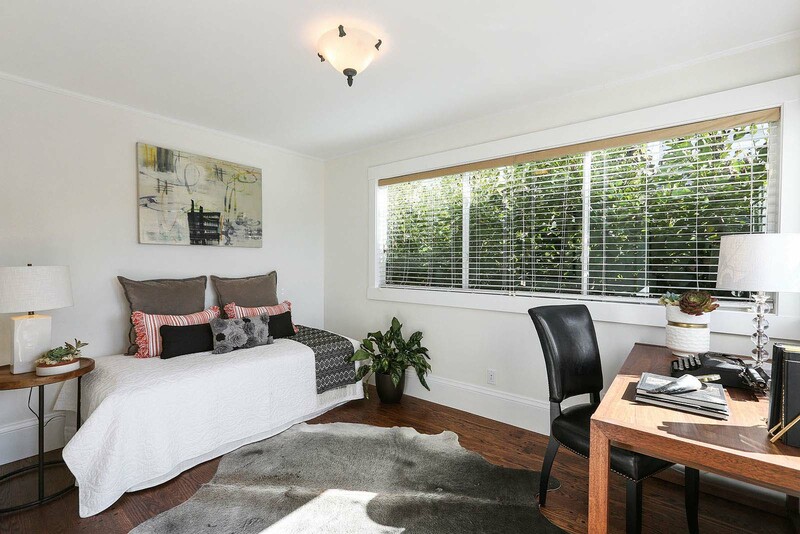 A large view bedroom and a smaller den/office at this level lend itself to enjoying every inch of this special, beautifully updated property. 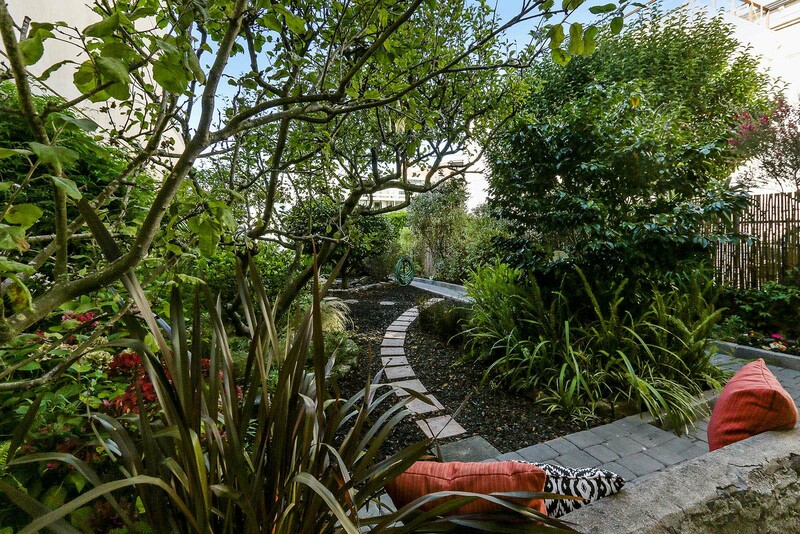 Set back from the street on a deep lot, this residence offers privacy without compromising the quality of views at every turn. 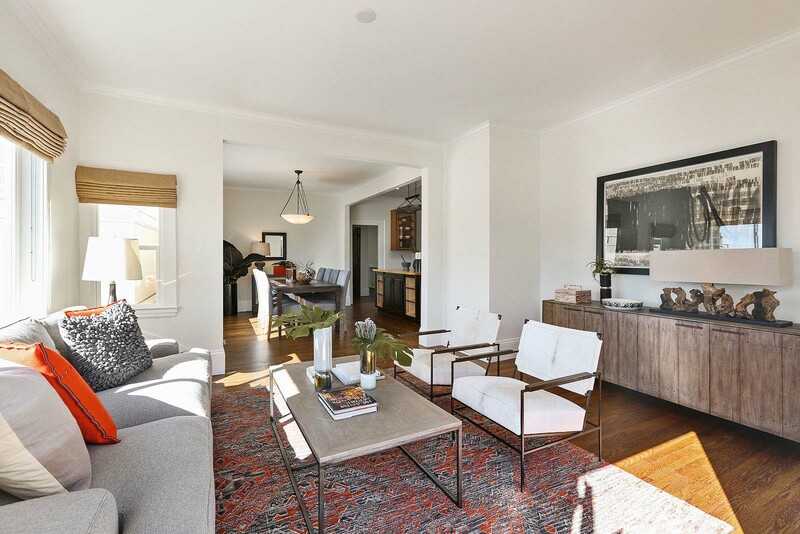 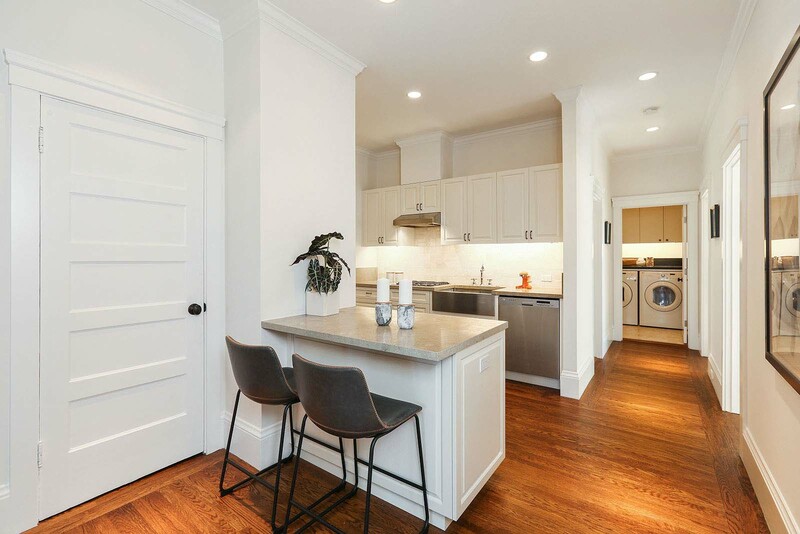 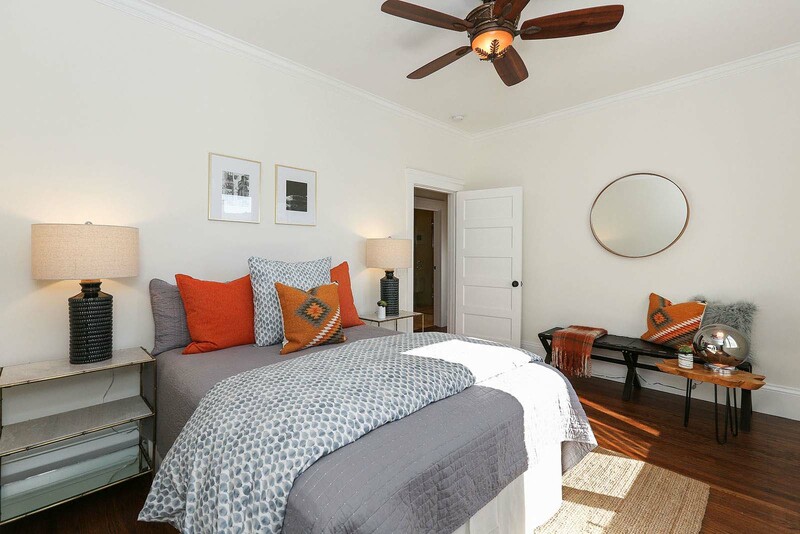 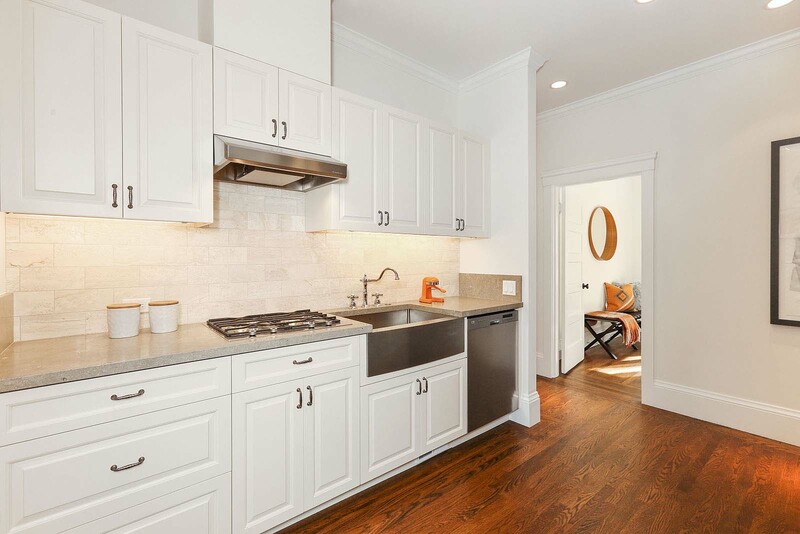 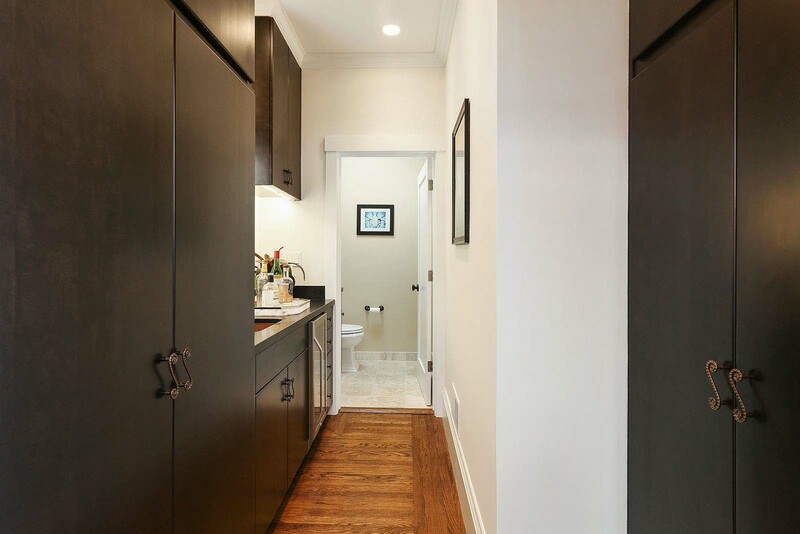 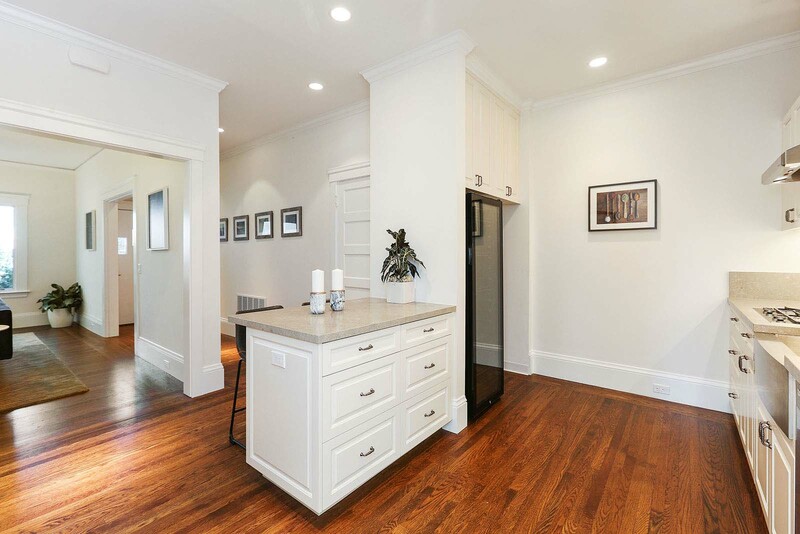 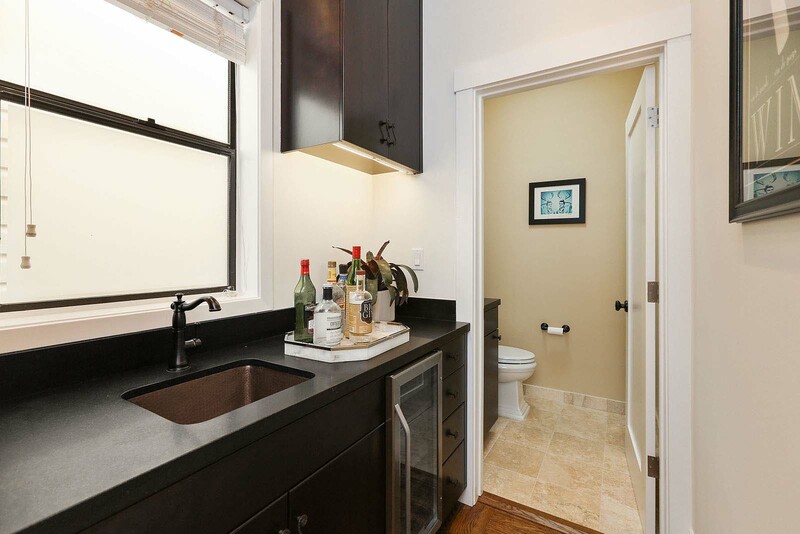 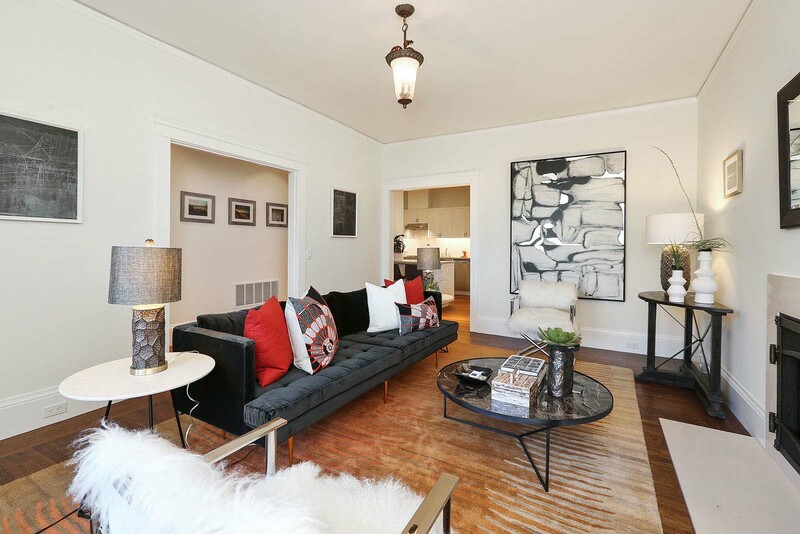 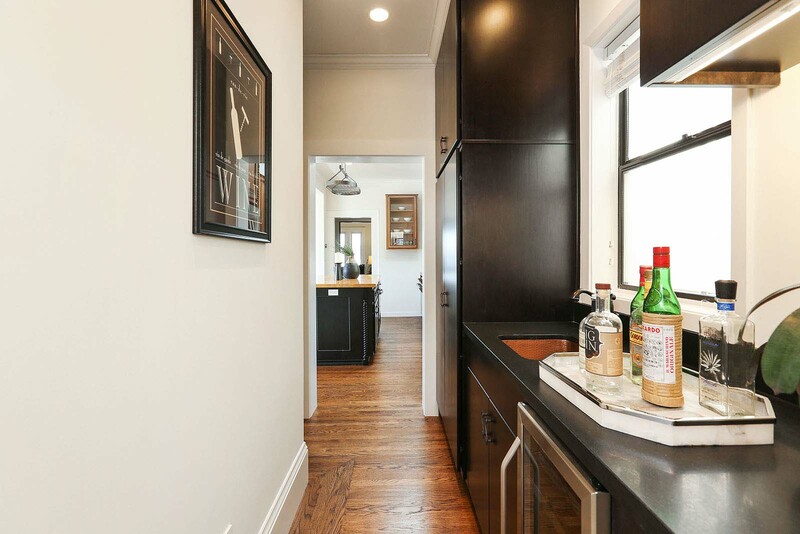 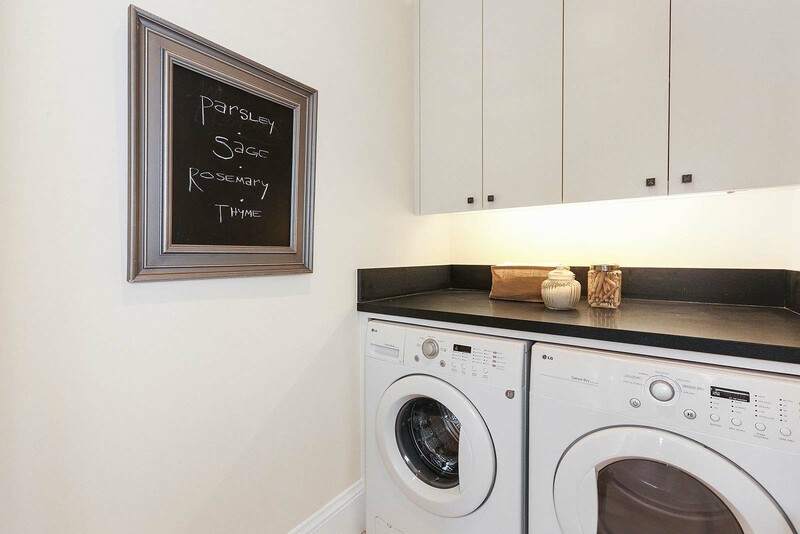 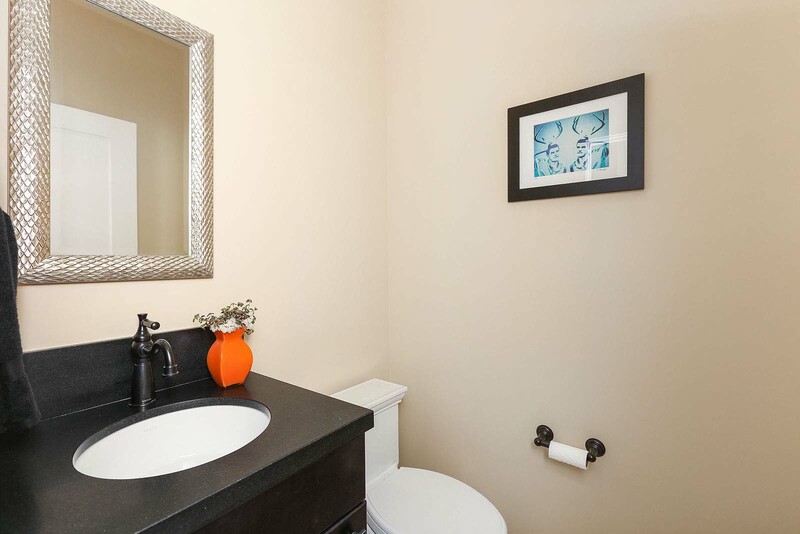 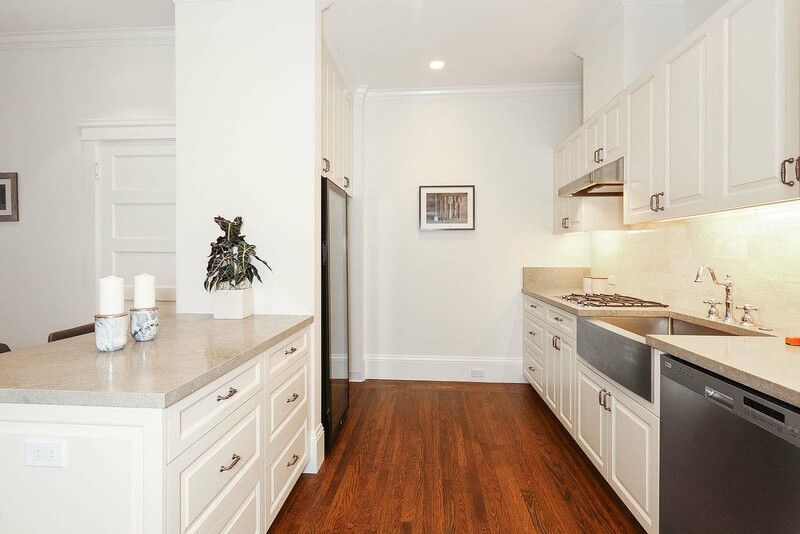 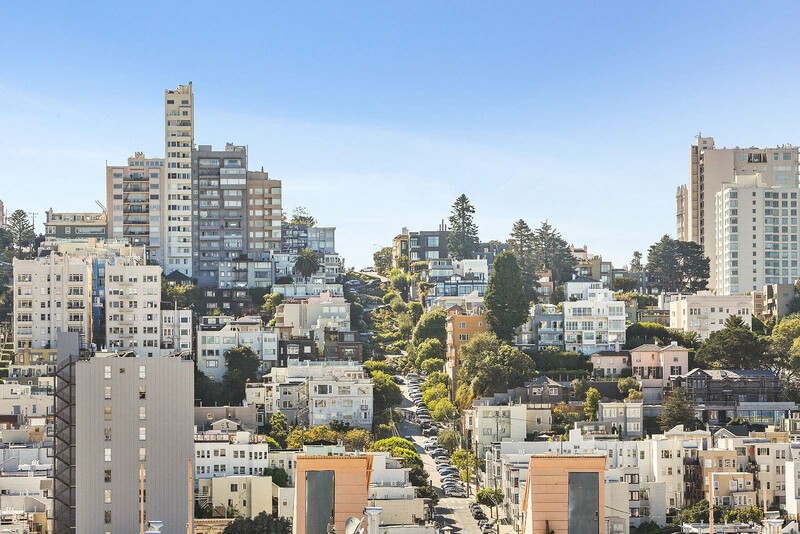 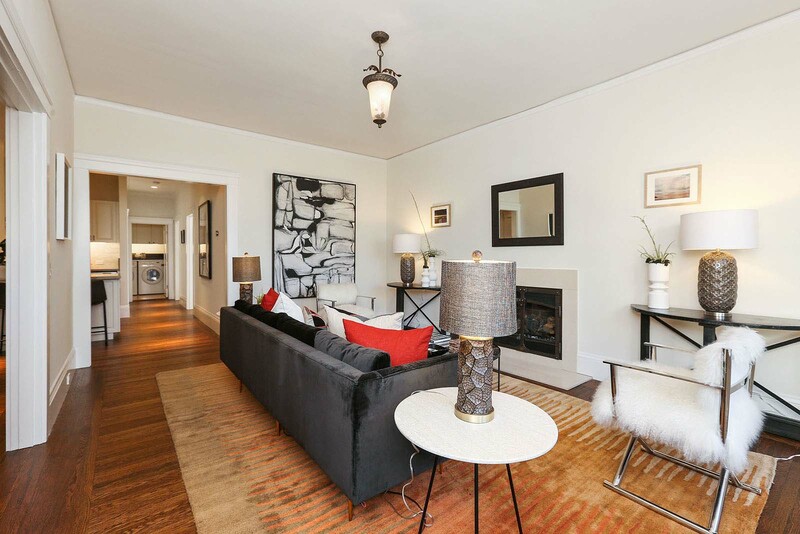 There is a two-car side by side garage where your car will happily rest while you enjoy this beautiful neighborhood’s walks to Washington Square Park, myriad of restaurants, shops and cafes including Mama’s, Park Tavern and Aquolina to name a few.